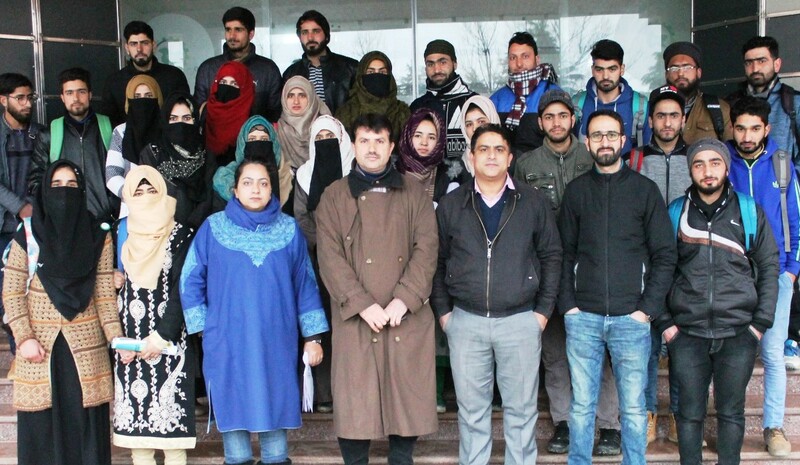 Jammu and Kashmir Entrepreneurship Development Institute (JKEDI) Thursday held an orientation program for the growers of medical plants from the Faculty of Forestry, Benhama SKUAST-Kashmir. The program was held at JKEDI Pampore campus in which 27 trainees/growers participated. The orientation program was part of a comprehensive 25 days program on Skill Development Training Program for ‘medicinal plants growers’ with effect from January 28 to February 21, 2019, by the Department of Forest Products utilization under HoD Prof. S A Gangoo from SKUAST-K. The orientation program started with a welcome address by Dr Syed Naseem Geelani, a program in charge and a presentation by Ishfaq A Mir, Communication Officer JKEDI and Coordinator for the orientation program. Mir gave a detailed insight regarding the activities of JKEDI vis a vis entrepreneurship development and self-employment initiatives being implemented by the institute. In the second session of the program, Aejaz Ahmad Mulla, Faculty at JKEDI made the participants do a simulation to understand the business basics followed by a debriefing session. The participants with the qualification of 10+2 or above were from Kashmir valley and intend to start their own business. The trainees were accompanied by Dr Meghna Rashid from SKUASTFaculty. Dean FoF, Prof TH Masoodi thanked JKEDI management for its whole-hearted support in conducting the training program and making it a success. Four interns Sehreen, Ayman, Hadia and Hazik from SKUAST-K currently undergoing 45-days internship at JKEDI were also part of the day-long orientation program. Kashmir Life was launched in 2009 as a weekly with an avowed objective to create a world-class news product for Kashmir and about Kashmir. Given the changes in the news market in which the larger events becomes crunchy bites on TV or snippets to suit a reader-in-hurry, we practice an exhaustive, in-depth and narrative form of journalism on issues concerning various facets of life in Kashmir. Copyright © 2009 - 2019 - Kashmir Life | All Rights Reserved.